Randy Bobbitt examines the political debates and underlying communications strategies over proposed state lotteries that took place in the Southeastern United States between 1986 and 2005. 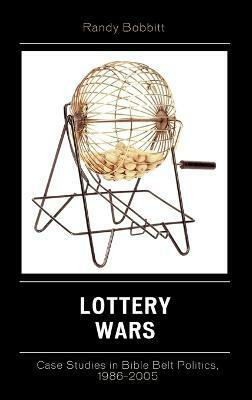 Based on research from thousands of media articles, government documents, and interviews with politicians, religious leaders, and journalists,Lottery Wars brings the history of state lotteries and the persuasive strategies used to debate them up to date. Randy Bobbitt is assistant professor and coordinator, Public Relations Program, Department of Communication Arts at the Fort Walton Beach campus of the University of West Florida.